wow – great pictures and warm sympathies to ya…. I love these pictures Koji. I know you miss Old Man Jack. And you honor him with your memories and affection. I think of him often, Chatter Master. Quite often. You know I think of your father and Jack quite often, just as I hear you mention Smitty’s name in your comments to me. We show our gratitude to them by keeping the memories alive. Thank you, Koji. Poignant study!! Rest in peace all who have fought! RIP Old Man Jack. I’m sad your life was strewn with those nightmares. Wishing you pleasant peaceful dreams. Koji: the photos are so powerful. 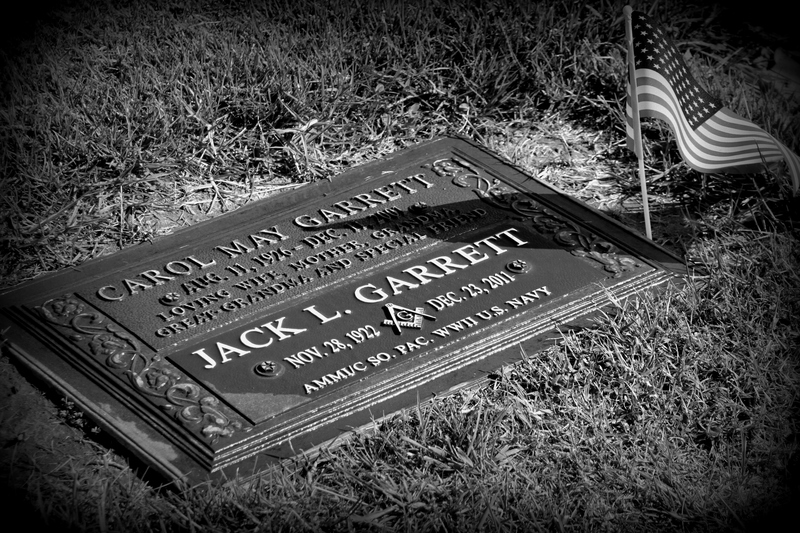 Thank you for your sentiments to Jack…and your too kind comments! Beautiful and emotional black and white photography and shadows. Thank you, Cee. Your challenge is fun to participate in! I did read it when you posted it but my comments for both you and Ms. Tejera are missing. I think its the app? Wonderful photos and a beautiful tribute. Thank you Linda. As I mentioned to Jan above, two comments I thought I posted…didn’t. 😦 My apologies. It feels like an honor to even see these photos, Koji. They were perfect for Cee’s challenge, and very moving. 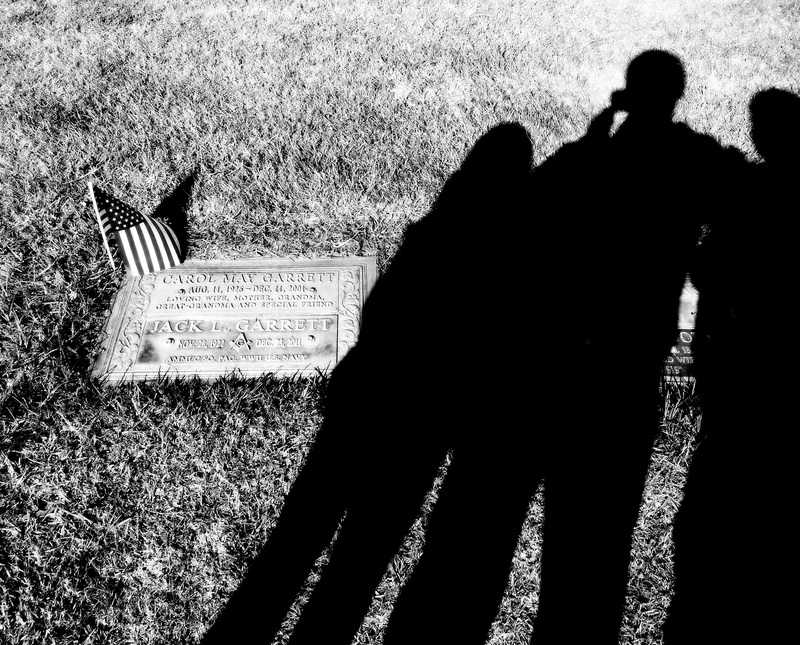 Those shadows over the grave are like poetry. Black and white is right too. LOL. That darn spell check! 🙂 Thank you for your compliment! Phenomenal first photo! It really says conveys a lot to the viewer….beautiful! Thank you for your kind thoughts, Alma. As “Old Man Jack” meant a lot to me and my kids, your words mean that much more. Congratulations. You have created a poignant blog. Thanks again to Cee for bringing it to our attention. lizMc, thank you for your thoughts and for stopping by. Much appreciated.